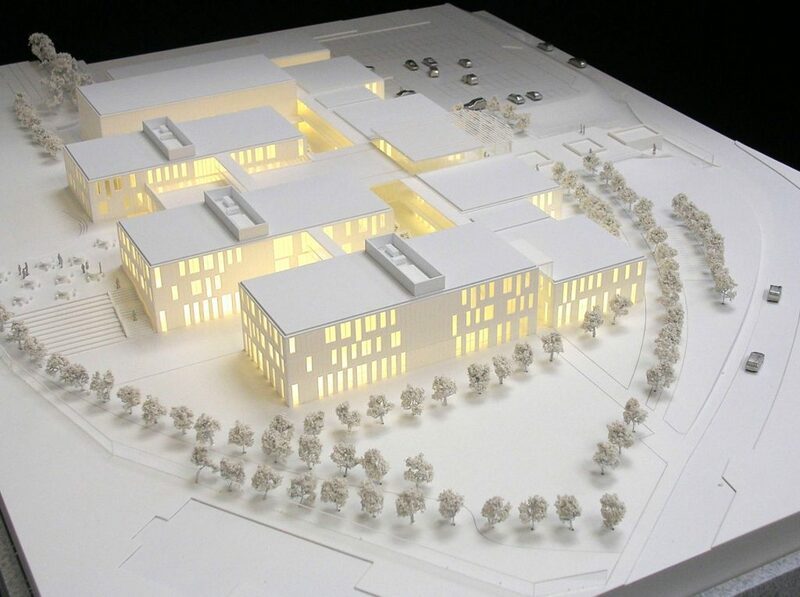 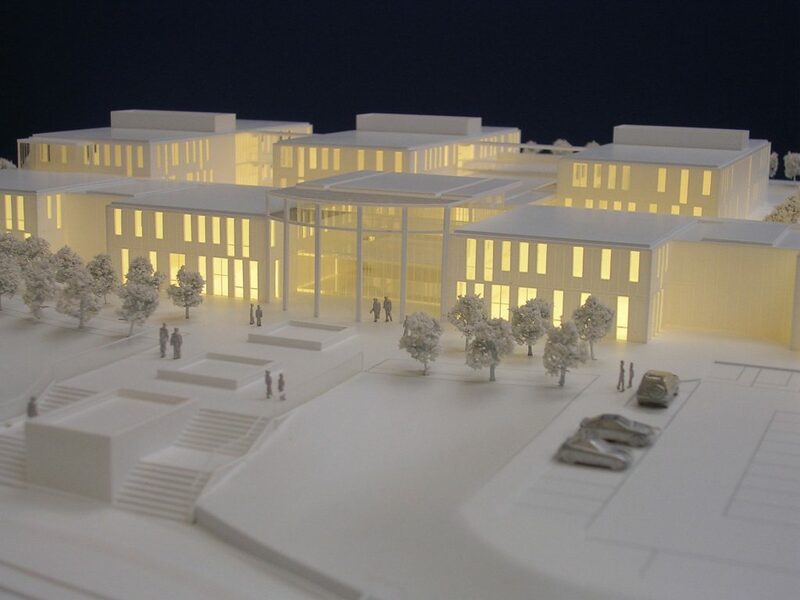 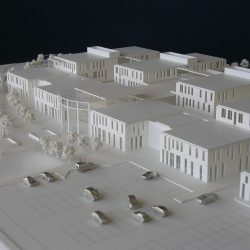 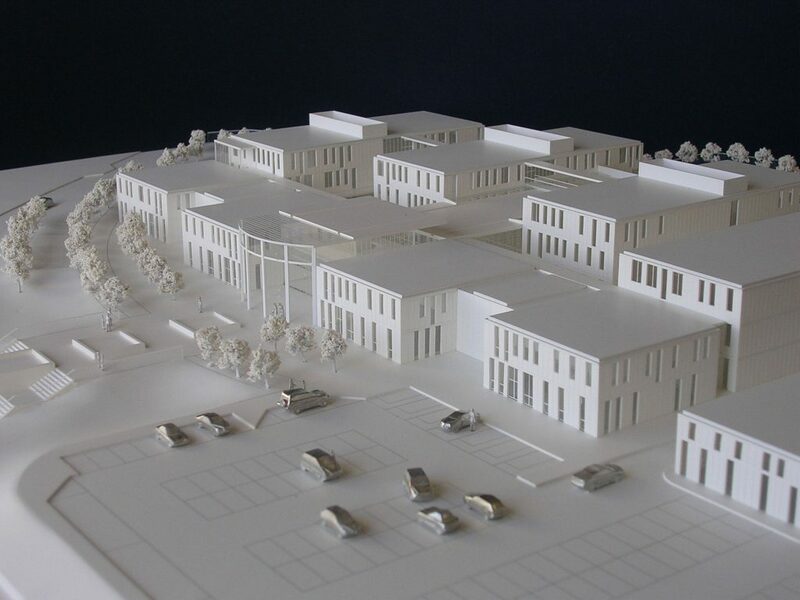 Inver Models was commissioned to produce an architectural model of a school in monochrome for competition. 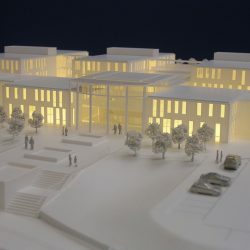 Complete with under floor lighting, which spills out of hollow pavilions onto walkways and covered public areas, polished metal vehicles add a little contrast. 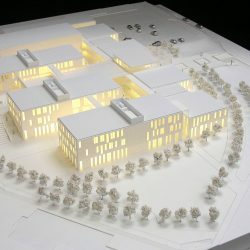 The model was produced at 1:300 scale.